Very Professional, excellent customer service, polite and a very welcoming dealership and i would recommend Farnell Jaguar Bolton. "Farnell Jaguar Bolton are pleased to present this fantastic bespoke Jaguar F-Type Coupe 5.0l V8 SVR AWD built specially for our retailer by Jaguar's Special Vehicle Operations. Finished in Ultra Metallic Satin Bospherous Grey Paint with Ebony Quilted Windsor Leather Performance Seats, Cirrus Stitch and SVR Embossed Headrests. This car comes with a truly unbelievable specification including Climate Pack 2, Heated & Cooled Front Seats, Meridian Surround Sound System, Exterior Carbon Fibre Pack, Panoramic Glass Roof, Privacy Glass, Carbon Fibre Centre, Carbon Fibre Centre Console, Powered Tailgate, Reversing Camera and Fixed Carbon Fibre Finished Spoiler. This is Jaguars Pulse Quickening Sports Car. Please call our sales team today to arrange a viewing of this fantastic vehicle." ""Farnell Jaguar Leeds are pleased to present this fantastic bespoke Jaguar F-Type Coupe 5.0l V8 SVR AWD built specially for our retailer by Jaguar's Special Vehicle Operations. Finished in Ultra Blue Metallic Paint with Ebony Quilted Windsor Leather Performance Seats and SVR Embossed Headrests. This car comes with a truly unbelievable specification including Climate Pack 2, Heated & Cooled Front Seats, Meridian Surround Sound System, Exterior Carbon Fibre Pack, Panoramic Glass Roof, Privacy Glass, Park Assist, SVR Steering Wheel which is Heated, Brushed Aluminium Centre Console, Powered Tailgate, Reversing Camera and Fixed Carbon Fibre Finished Spoiler. This is Jaguars Pulse Quickening Sports Car. Please call our sales team today to arrange a viewing of this fantastic vehicle."" "Farnell Jaguar Leeds are proud to offer for sale this Jaguar I-Pace EV400 S automatic finished in metallic Corris Grey with ebony leather interior. From the factory this I-Pace has been specified with a full glass fixed panoramic roof, cold climate pack, surround camera system gesture tailgate and front fog lamps. 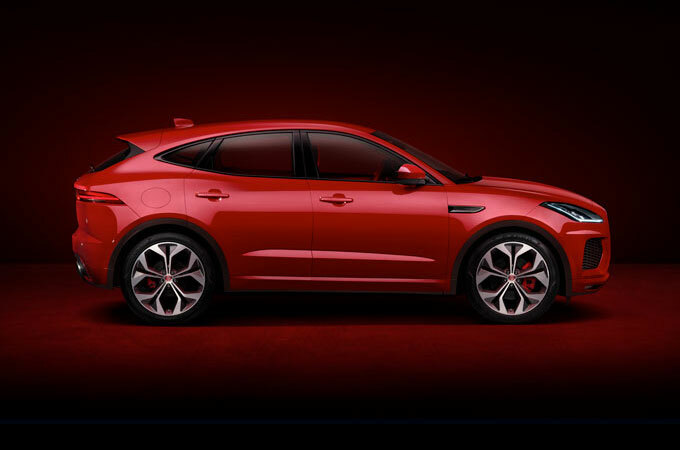 When you purchase this Jaguar I-Pace through farnell Jaguar Leeds, you will also benefit from the remainder of the Jaguar 3 year warranty and breakdown cover." "Jaguar I-PACE is a Jaguar above all else - a true driver’s car. Its electric motors and near perfect weight distribution deliver 696Nm of instant torque and sports car agility. 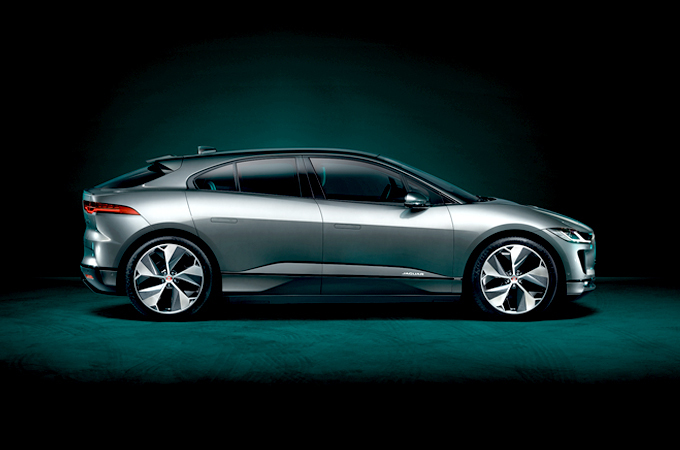 Featuring an elegant, highly aerodynamic design with a low drag coefficient of 0.29Cd, Jaguar I‑,,PACE has been created to provide efficiency by slicing cleanly through the air for maximum range and stability. 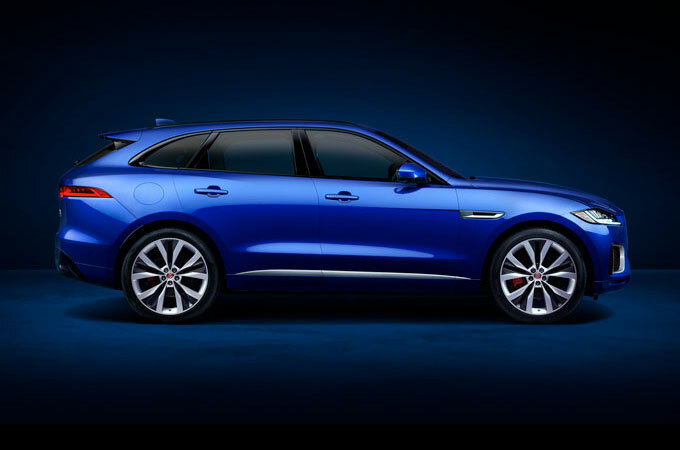 Jaguar I‑,,PACE offers excitement from every angle thanks to its flowing waistline, dramatic bonnet scoop and signature rear haunches.Jaguar I‑,,PACE seamlessly integrates technology and abundant space. The interior design is clean and uncluttered, with tactile features and sweeping lines. The nature of the electric powertrain offers additional space, providing more freedom to maximise the comfort provided by Jaguar I‑,,PACE’s interior.Jaguar I‑,,PACE’s Touch Pro Duo infotainment system makes it simple to control all the car’s technologies. 4G Wi-Fi capability is standard and a host of connectivity features mean it’s easy to keep in touch with your digital world." 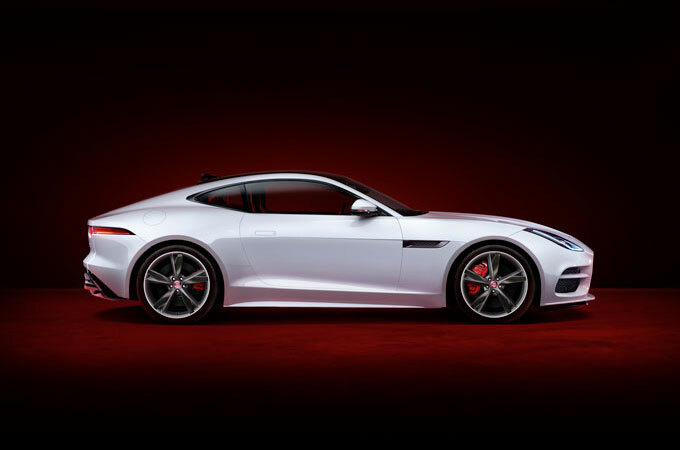 "Farnell Jaguar Bradford are delighted to offer our stunning F-Type 3.0 (380) Petrol R-Dynamic Coupe Automatic in Fuji White with Jet leather interior and Ebony headlining. This fantastic F-Type comes equipped with Exterior Black Pack, Climate Pack 2, Seat Memory Pack 2, 20" Gyrodyne Diamond Turned Alloy Wheels, Fixed Panoramic Sunroof, Keyless Entry, SD Card Colour Satellite Navigation, Rear Park Aid, Meridian Sound System, DAB, Bluetooth Connectivity, USB, InControl Apps, InControl Remote Premium, Performance Seats, Heated Door Mirrors, Deployable Rear Spoiler, Switchable Active Exhaust and Cruise Control. If you would like to receive a personalised video on this car please do not hesitate to contact a member of our sales team. Every Approved Jaguar comes with 2 Years unlimited mileage Approved Warranty, 2 Years UK and European Roadside Assistance, a 165 Multi Point Inspection, reconditioning by Jaguar Trained Technicians using Jaguar genuine parts, an Independent mileage and history check, a thorough road test by Jaguar Trained Technicians and MOT Test Insurance. We are also able to provide complimentary 7 day Jaguar Drive Away Insurance. Please call our sales team today to arrange a test drive and be looked after by our team of experts. We can arrange for one of our experts to collect you from either the Bradford train station or Leeds /Bradford airport at no extra cost." "Farnell Jaguar Bradford are delighted to offer this stunning XJ 3.0 V6 (300) Diesel R-Sport Automatic in Farallon Pearl Black Metallic with Jet Leather interior and Ebony headlining. This beautiful car comes equipped with an amazing specification including Rear Seat Entertainment, Privacy Glass, Panpramic Glass Sunroof, Surround Camera System, Adaptive Cruise Control with Queue Assist,Perpendicular Park Assist, Navigation Pro, LED Headlights, 20" Satin Grey Alloy Wheels, Heated Front Windscreen, Heated Front Seats, Electric Front Seats, Power Bootlid, Front and Rear Park Aid with Rear View Camera, DAB, Bluetooth Connectivity, USB, InControl Touch Pro, InControl Apps, Pro Services and WiFi Hotspot, Soft Door Close, Powerfolding Heated Door Mirrors, Traffic Sign Recognition with Adaptive Speed Limiter, Lane Departure Warning and Cruise Control. If you would like to receive a personalised video on this car please do not hesitate to contact a member of our sales team. Every Approved Jaguar comes with 2 Years unlimited mileage Approved Warranty, 2 Years UK and European Roadside Assistance, a 165 Multi Point Inspection, reconditioning by Jaguar Trained Technicians using Jaguar genuine parts, an Independent mileage and history check, a thorough road test by Jaguar Trained Technicians and MOT Test Insurance. We are also able to provide complimentary 7 day Jaguar Drive Away Insurance. Please call our sales team today to arrange a test drive and be looked after by our team of experts. We can arrange for one of our experts to collect you from either the Bradford train station or Leeds /Bradford airport at no extra cost." "Farnell Jaguar Bradford are delighted to offer our stunning demonstrator F-Type 2.0 (300) Petrol R-Dynamic Convertible Automatic in Santorini Black Metallic with Ebony leather interior and Ebony headlining. This fantastic F-Type comes equipped with Exterior Black Pack, Climate Pack 1 (inc Heated Seats, Heated Steering Wheel, Heated Windscreen) 19" Alloy Wheels, LED Headlights with LED DRL,SD Card Colour Satellite Navigation, Front and Rear Park Aid with Rear View Camera, Meridian Sound System, DAB, Bluetooth Connectivity, USB, InControl Remote Premium, Heated Door Mirrors, Deployable Rear Spoiler, Switchable Active Exhaust, Traffic Sign Recognition with Adaptive Speed Limiter, Lane Departure Warning and Cruise Control. If you would like to receive a personalised video on this car please do not hesitate to contact a member of our sales team. Every Approved Jaguar comes with 2 Years unlimited mileage Approved Warranty, 2 Years UK and European Roadside Assistance, a 165 Multi Point Inspection, reconditioning by Jaguar Trained Technicians using Jaguar genuine parts, an Independent mileage and history check, a thorough road test by Jaguar Trained Technicians and MOT Test Insurance. We are also able to provide complimentary 7 day Jaguar Drive Away Insurance. Please call our sales team today to arrange a test drive and be looked after by our team of experts. We can arrange for one of our experts to collect you from either the Bradford train station or Leeds /Bradford airport at no extra cost." "Farnell Jaguar Leeds are proud to offer for sale our Jaguar F-Type 2.0 automatic Convertible finished in metallic Ultra Blue with jet leather interior. This is the time to buy your convertible so you can beat the rush in the spring. This F-type has been specified by from new to include 19" alloy wheels, flat bottomed steering wheel, black exterior pack giving you gloss black bonnet vents, gloss black roll over hoops and gloss black side vents. What a fantastic looking F-type to be seen in this year." For a range of Jaguar cars for sale at prices that are hard to beat, take a look at the deals we’ve got on offer at Farnell Jaguar. 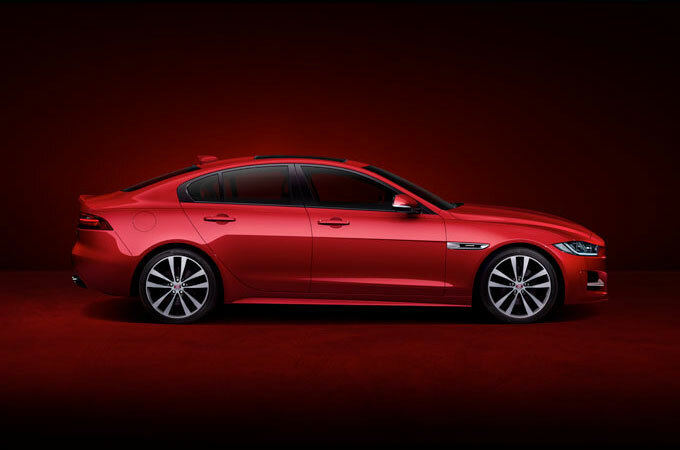 As a Jaguar dealership with experience and knowledge of the manufacturer, we specialise in making sure all our customers get a vehicle truly suited to them. With our regularly updated and well maintained stock of used vehicles, you won’t be short for choice at Farnell Jaguar, with some of the most popular Jaguar models on display for you to choose from. Alongside our full range of Jaguar care and financing services, we know you’ll get a used Jaguar deal that’s right for you at Farnell Jaguar. With a Jaguar, you’ll get much more than simply a car to take you from A to B. You’ll get a vehicle made to the best possible standards, with a high specification build informed by decades of manufacturing knowledge. You’ll get a car steeped in history, designed with the thrill the endless road can offer. And at Farnell Jaguar, you’ll get a car that seems like it’s been built just for you. 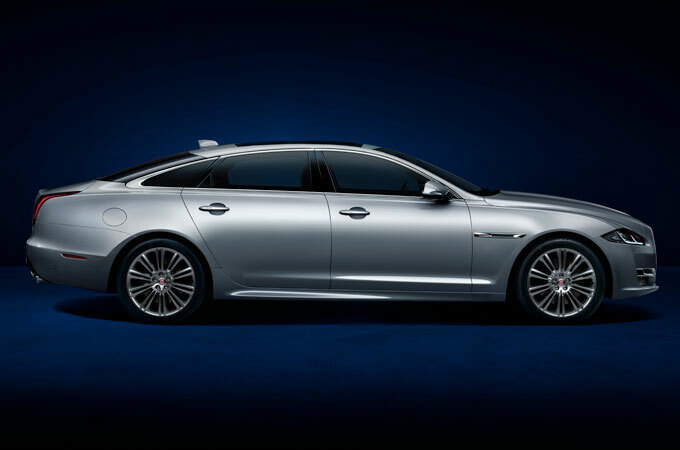 With a used Jaguar estate, saloon, coupe or convertible on show to suit everyone, when you come to Farnell you might just meet the car of your dreams. 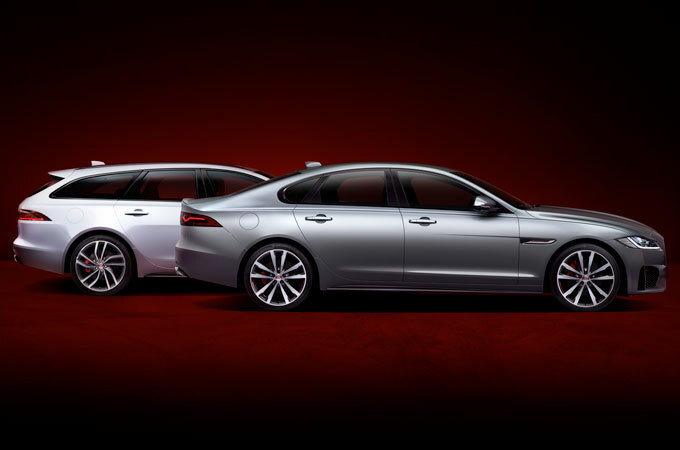 When you come to Farnell Jaguar, you won’t just find a great selection of used Jaguar cars. You’ll also find a team committed to offering high quality customers service, informed by a knowledge of Jaguar and their vehicles. Our team will be happy to let you browse in a stress free environment, with no sales pressure. They’ll be happy to answer any questions you might like to ask, whether you’re wanting to know more about a car you’ve seen, or want to make an enquiry about our Jaguar MOT, servicing, and spare parts services. Why not get in touch with Farnell Jaguar today; just give us a call, take a look at the used Jaguar cars we have online, or get in touch about a used Jaguar at a Farnell Jaguar dealership near you.